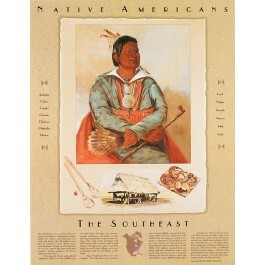 This unique educational poster features beautiful artwork and explanatory text to teach about the history and culture of the Native Americans of the Southeast. The poster also lists all of the individual tribes in this geographical group. 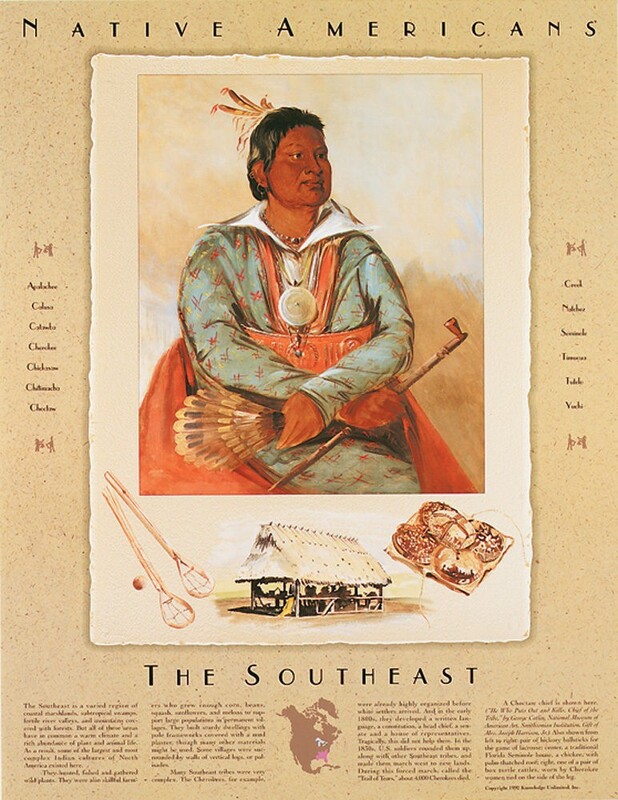 At the center of the poster is a striking reproduction of a painting of a Choctaw chief by artist George Catlin, as well as images of other artifacts representative of the tribes of this region.